VATICAN CITY (CNS) — Pope Francis has named Chicago Archbishop Blase J. Cupich a member of the Congregation for Bishops, the office that advises the pope on the nomination of bishops around the world. 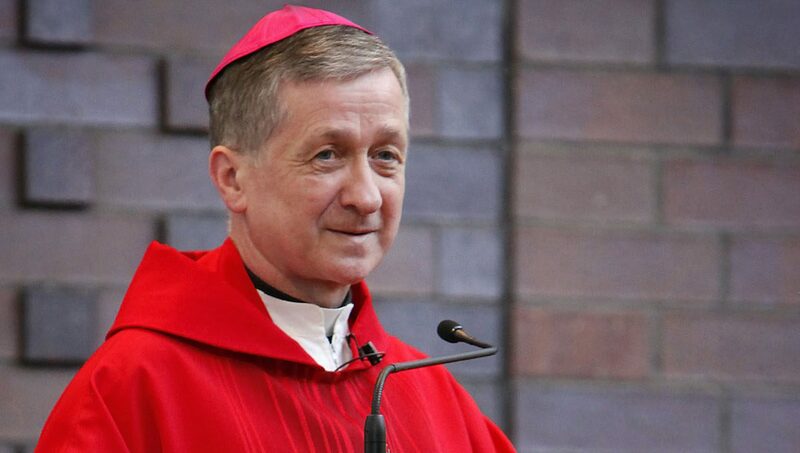 Archbishop Cupich, 67, takes the place left vacant by U.S. Cardinal William J. Levada, who turned 80 in mid-June and automatically ceded his membership. The congregation is led by Canadian Cardinal Marc Ouellet, its prefect. Cardinal Donald W. Wuerl of Washington also serves as a member. Nuncios, or Vatican ambassadors, around the world conduct the initial search for priests suitable for the office of bishop and forward their names to the congregation. Congregation members review the biographies of potential candidates and comments and recommendations collected by the nuncios before making their recommendations to the pope. The congregation also advises the pope on the establishment of new dioceses or the consolidation of old ones; advises bishops’ conferences on their work; coordinates the joint activities of military ordinaries around the world; and organizes the “ad limina” visits that bishops regularly make to the Vatican to report on the status of their dioceses. The congregation is tasked with supporting the work of bishops in their dioceses, a function regularly carried out with the review of reports prepared in conjunction with the “ad limina” visits. But it also is responsible for organizing apostolic visitations of dioceses where particular tensions or controversies have arisen.